Tonight Apple announced the launch of iPad Air, its next generation full-size iPad. 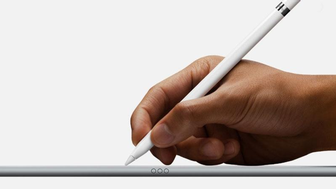 It's thinner and faster than the previous generation of iPad and is sure to be a huge hit. But when will the iPad Air launch in the UK? We offer the latest information on the iPad Air's release date, along with its specs and features. Tonight Apple announced the launch of iPad Air, its next generation full-size iPad. (We thought it would be called iPad 5, but Apple caught us off-guard with the new iPad Air brand.) It's thinner and faster than the previous generation of iPad - our editor in chief has insisted that we take Apple's claims of doubled speeds with a pinch of salt until we can test the iPad Air in our labs - and is sure to be a huge hit. But when will the iPad Air launch in the UK? iPad Air is thinner than the iPad 4, at 7.5mm compared to 9.4mm on the previous iPad. That's a reduction of 20 percent. It's also significantly lighter, dropping (in US measurements) from 1.4 pounds to 1 pound. In metric terms that translates to a drop from 652g to 469g (for the non-3G version). As well as being more portable than the iPad 4, the iPad Air also boasts superior components. As predicted, it's got the A7 chip that features in the iPhone 5s, as well as the M7 graphical boost. This should produce an Apple tablet of unprecedented processing power, although we will have to run the iPad Air through its paces in our lab before we can judge its capabilities. Apple boasts that the iPad Air is twice as fast - both in terms of general processing speed and in graphics - as the iPad 4. When will the iPad Air come out? Wondering when the new iPad 5 will come out? This regularly updated article is all about the new iPad 5's release date, along with rumours and leaked images and news about the upcoming iPad launch event, which starts at 6pm (UK time) tonight - the 22nd October 2013. We strongly expect Apple to announce the next full-size iPad tonight, along with the date it will go on sale, its UK price, specs, features and other details. We'll update this article with the information as soon as it's announced. We'll be bringing you everything we know (or suspect) about the new iPad 5 launch so you can be the first to know exactly when the new iPad 5 is coming out. We're also going to bring you a few of the juiciest spec rumours that are flying round the web's most trusted tech websites. Finally, we have some ideas of how the iPad 5 will look, and we'll include any leaked iPad 5 images in this article. Sit back and relax: we've got the new iPad 5 covered. iPad 5 release date: Will Apple launch iPad 5 at its 22 October event? Apple has confirmed that it will be hosting a special event tonight, on 22 October, so we expect that's when we'll get our first official look at the iPad 5. The event is scheduled for 6pm UK time (it's 10am US Pacific Time). It will be held at the Yerba Buena Center for the Arts in San Francisco. You can follow the event live here on Macworld.co.uk. The iPad family are by far the most likely Apple products to be refreshed at the event, with both the iPad 5 and iPad mini 2 expected to make an appearance. However, we may also see more of OS X Mavericks and the new Mac Pro. The iPad 5 will be smaller than the iPad 4, if a video from Chinese parts supplier Sw-box.com is to be believed. The video compares the iPad 5 with an iPad 4 and concludes after measuring the two devices that it will be slimmer, lighter and thinner. According to the video, the iPad 4 measures 241.2mm x 185.7mm x 9.4mm. By comparison the iPad 5 measures 239.2 mm =x 169.5mm x 7.2mm. The iPad 5 weighs almost half that of the iPad 4, according to Sw-box. The Chinese video suggests that the iPad 5 is a "larger size of iPad mini," comparing the positionling of the lightning port and volume controls. There is also an extra microphone hole. New iPads of some kind - potentially the iPad 5 and iPad mini 2 - could well get a mention on 22 October; it would certainly make sense for the iPad 5 to be launched in time for the Christmas rush, if Apple is planning to refresh its full-size iPad line in the near future. Apple's usual release schedule for the iPad, as with the iPhone, is roughly yearly: the iPad launched in Apil 2010, followed by the iPad 2 in March 2011 and iPad 3 in March 2012. There was a shorter wait for the iPad 4, however, which cropped up in November 2012, a wait of eight months. Speculation regarding a new iPad 5 release date is rampant at the moment, but we do expect a new iPad 5 model to be released at some point in 2013. A Bloomberg report on 28 August claimed that a source had confirmed that Apple will launch the new iPad on 10 September. However, shortly after the report was made live, Bloomberg removed the references to the iPad from the story. Rightly so, because the 10 September event came and went without a mention of new iPads, showing only the two new iPhone models: iPhone 5s and iPhone 5c. Could there be two new iPads, like the iPhone 5S and 5C? Should we expect an iPad 4S? This one's pure speculation - nothing firm on this at all. But it's fair to wonder to what extent Apple plans to continue its divergent strategy - one slightly cheaper iPhone in bright colours aimed at a younger market, one top-end iPhone in more sombre colours aimed at us old fogies - across other lines. The astonishing sales numbers Apple reported over the first weekend - nine million iPhone 5S and 5C units in three days - suggest the strategy is working better than anyone could have hoped, so why not? Although for us the best way to bring this idea to the iPad range would be to make the iPad mini 2 the equivalent of the iPhone 5C, maybe with a suitably harish set of colour options. Now if Apple launched an iPad mini C and an iPad 4S (in champagne, of course) - now you're talking. Talking of the iPad mini 2, one rumour going round (complete with leaked photo) is that the iPad mini 2 will come in a new colour option, 'space grey', which some sites have guessed could mean that Apple is planning other new colours too, including gold. Will the iPad 5 be colourful too? Apple does seem to be committed to its new colourful aesthetic (both in hardware and software terms), so we'd be surprised if the new iPad 5 is only available in white and black. But as we mentioned above, our view is that, of the two strategies, the full-size iPad is more 5S than 5C, with a generally older target audience than the iPad mini. So we suspect that refined greys and, yes, maybe champagne are more likely than fuchsia. Prove us wrong, though, Apple, please. Will the new iPad 5 have a fingerprint sensor? Yes, we think so. It doesn't make any sense not to, and it would be a shame not to make more use of the research, design work, acquisitions and hires that Apple put into creating the TouchID feature for the iPhone 5S. The full-size iPad tends to be used in a slightly less mobile way than the iPhone, mind you - you're a bit less likely to take it out in a cafe or on a plane, and some people keep them at home almost full time - so security is fractionally less of an issue. But it would fit in with Apple's security strategy, and help to future-proof its whole iOS lineup. The only reason we could see Apple not include TouchID on the iPad 5 is if it runs into some kind of legal problem over the retention of personal data. Which isn't happening right now. Despite the lack of an iPad 5 at Apple's 10 September event, a launch before the end of 2013 looks likely. The 22 October event that Apple has announced looks likely to be the iPad 5's unveiling. As for the actual release date - or the day it becomes available for us to buy - there have been reports that the iPad 5 will go on sale on 30 October or 31 October. iLounge's Jeremy Horwitz claims to have inspected a physical model of Apple's next iPad, which he thinks will arrive in October alongside a Retina display iPad mini 2. Taiwan-based research firm TrendForce believes that a completely redesigned iPad 5 will launch in the third quarter of 2013, reigniting consumer interest in Apple's 10-inch tablet. On 10 April, we reported that the iPad 5 may not enter production until July or August, according to Taiwan sources. This would indicate a late 2013 launch. How much will Apple's iPad 5 cost in the UK? We should know the iPad 5's UK price on 22 October, when Apple is expected to refresh its iPad line-up. In the meantime, we can look back over previous iPad launches to get an idea of how much the iPad 5 is likely to cost. We think it'll probably start at £399, if history is anything to go by. Find out more about the iPad 5 price in the UK in our dedicated article. The new iPad 5 rumours are starting to come through the pipeline, although they are few and far between so far. Here is what we expect the new iPad 5 features to include. What does iPhone 5s, iPhone 5c tell us about new iPad? The new iPhone 5s has a 64-bit A7 processor, which could well make its way into the new iPad when it launches. This would mean much speedier performance. Additionally, the iPad 5 could get the same Touch ID fingerprint sensor as the iPhone 5s, which would mean you'll be able to unlock the iPad using the new technology and without entering any passcodes.We don't think that Apple will launch a new iPad with a plastic chassis as it has done with the iPhone 5c. We haven't seen any leaked images to suggest this, either. However, it could be a possibility for a future iPad in 2014, or a new iPad mini. This Apple patent suggests that a new iPad 5 Inductive Smart Cover will contain its own battery that will hold charge and. The charge will be then sent wirelessly from the Smart Cover to the iPad as you carry it around. The Smart Cover could either have its own Lightning connection, or take charge from a plugged-in iPad and then send it back the other direction when you use it. This will extend the battery life of the iPad. The new iPad 5 will keep the 9.7in Retina Display, however rumours suggest that the new iPad 5 will have just one LED Light Bar inside (the current iPad has two LED Light Bars). This is rumoured to be because Apple will be using newer, more efficient LED Light Bars than previously. New iPad 5 is also said to have narrower bezels and a more iPad mini-like design. In addition, the photographs show a pair of flex cables that differ from the current iPad, and could be used to enable Apple to give the iPad the same 9.7in screen size as its predecessor but within a smaller body, according to this leaked part. Jefferies analyst Peter Misek wrote in a research note on that he believed Apple's fifth-generation iPad would have an IGZO (Indium gallium zinc oxide) display. These displays allow for smaller pixels which enable a device to have a higher resolution, or a higher reaction time for the display. The IGZO displays are rumoured to be developed by Sharp. 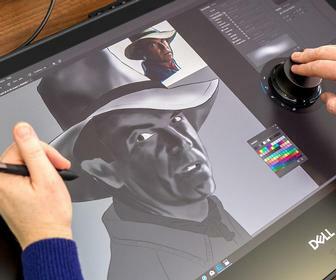 Sharp said the new technology allows for twice the detail of existing panels at the same transparency, which means high-resolution devices can be designed that require less power and space for backlighting. The company said the new displays cut power consumption by up to 90 percent versus those currently in use. In July, this rumour was reiterated by Korea IT News, which cited industry insiders who say that Apple is considering using IGZO LCDs in future iPads. Taiwanese news source DigiTimes reported first on switch to a single LED Light Bar in the upcoming new iPad 5 release. Removing one of the LED Light Bars will free up some space inside the new iPad 5, enabling Apple to produce a lighter and thinner device. It also has an advantage of reducing the power requirement of the new iPad 5, again enabling Apple to create a smaller and thinner new iPad 5 because it will not require so much battery space (the iPad is essentially one large battery with components inside and a display attached to it). In January, trusted analyst Ming-Chi Kuo from KGI Securities said that he predicts that Apple will launch a thinner, lighter 10in iPad in 2013, alongside a Retina iPad mini 2 and a cheaper iPod touch. The new iPad 5 could have a design similar to the iPad mini, and could be available in the same black and slate and white and silver designs as the smaller tablet. In fact, the iPad 5 could be 33% lighter than its predecessor, according to a Digitmes report in May. In July, a leaked schematic suggested that the iPad 5 may be 1.5mm thinner than the iPad 4 when it launches. Although we have no firm idea of what Apple is planning with the new iPad 5 design, we can reasonably believe that it will take its cues from the recently restyled iPad mini and iPhone 5. As with the iPad, it comes in two colours: white and black (although further colours have been introduced to the iPod touch, and these are a possibility). There has also been this rumour that the next-generation iPhone 6 will come in a variety of colours. It is possible the the new iPad 5 will also come with more colourful options. Taiwan Semiconductor Manufacturing Company (TSMC) is developing a 16nm process that Apple may adopt for future iPhone and iPad chips. The process should boost performance and reduce the power consumption of new Apple products. It's likely that Apple will give its next iPad a camera boost, and four Apple patent filings published in April add further evidence to that theory. The patents relate to colour balance and correction. Corning has developed a new version of its Gorilla Glass for smartphones and tablets that it says will result in 40 per cent fewer scratches, and will arrive in devices later this year, possibly including Apple's iPhone 6, iPad 5 and iPad mini 2. Other reports have suggested that Apple may use oxide-based LCD screen for its next-generation iPad 5 to bring a "stunning" display that is thinner and more power efficient to the tablet. Apple is reportedly planning to use the thin-film touch panels it uses in its iPad mini for the upcoming iPad 5. In March, Digitimes reported that suppliers of thin-film panels will see a significant increase in orders from Apple in the third quarter of the year, as the company prepares to release the fifth-generaiton iPad. A new patent filing and job listing indicate that Apple is interested in implementing flexible components in future products, which could include a bendable iPad. Apple has been granted a new patent for a chip that would allow Apple to introduce a vibrate mode to its next iPad. In June, Apple unveiled its upcoming iOS 7, which has undergone a complete redesign. The iPad 5 is expected to run iOS 7 when it launches, so it'll get iOS 7's new features such as AirDrop, Control Center and iTunes Radio. During the run up to any new Apple launch there are typically images of the external cases, and internal components. We expect there to be lots of new iPad 5 leaked images prior to the launch, so we'll upload them here as soon as we get them. More suspected images of the iPad 5's front panel leaked on the internet on 28 August. The images show a thinner bezel. The back is thought to be identical to the iPad 4's back, it's made from aluminium and reports suggest that the Apple logo is embossed in the aluminium. Photos of what appears to be the casing of the iPad 5 appeared online on 10 October, showing a new Space Grey option for the tablet. A designer has created a 3D model of what he expects the thinner, lighter iPad 5 to look like, as shown below. CiccareseDesign has also created new iPad 5 renders to illustrate what the new iPad may look like next to an iPad 4 and iPad mini, as shown below. Photos of an alleged iPad 5 backplate have emerged online, showing a black & slate 10in iPad back that takes its design from the iPad mini. The part is apparently almost as thin as the iPad mini's back plate, also pictured for comparison purposes. In April, photos of an alleged iPad 5 front panel with iPad mini-like design were leaked online. In April, a photograph displayed on technology blog Tactus appears to show the rear casing of Apple's iPad 5, showing a component that boast similar qualities to the iPad mini in terms of its thickness and design. Should I buy an iPad mini and iPad 4?